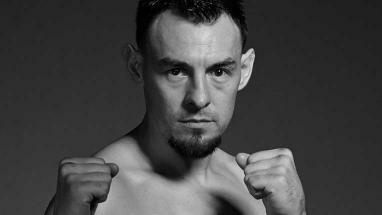 Robert Guerrero back in ring against David Peralta in August – then what? Former world champion Robert “The Ghost” Guerrero has lost three of his past five bouts. But they were to Floyd Mayweather Jr., Keith “One Time” Thurman and most recently Danny Garcia. No shame there. Guerrero, 33, will get back in the ring for the first time since what was a good – yet unsuccessful – showing against Garcia for a vacant welterweight world title in January at Staples Center. He’ll headline an Aug. 27 card at Honda Center when he takes on David Peralta of Argentina in the welterweight main event (on Spike). American fans know little of Peralta (25-2-1, 14 KOs), who has fought exclusively in Argentina. Guerrero seems to know something about him, though. From here on, it will be interesting to see what Guerrero does in his career. He would seem to be a way off from another title shot, as he is ranked in the top 15 of just one of the four organizations. And it’s a No. 13 ranking, so no one is going to owe him anything soon. Considering his showing against Garcia, Guerrero – just 33 – certainly isn’t ready to hang ’em up. But it doesn’t seem he would have enough to beat any of the champions in the division, though he would appear to have the best shot against Jessie Vargas. The other three are Thurman, Garcia and Kell Brook, who is moving up to middleweight to challenge Gennady Golovkin for his title in September in England. Here’s a thought: Guerrero could move down to junior welterweight. He never really did fight there, as he went from lightweight straight to welterweight; Guerrero had one fight technically in the junior welterweight division when he weighed 138 for Joel Casamayor, but he only weighed 133 and 134 his next two fights before moving to welterweight. (Lightweight is 135). Guerrero weighed in at 145 1/2 pounds just a year ago for a fight against Aron Martinez. He is not a big welterweight at all. Of Guerrero’s seven fights at welterweight, he has weighed in at as high as the 147-pound limit just twice. Not that the 140-pound junior welterweight division would be a cake walk to a title. Viktor Postol and Terence Crawford are two of the champions. Those two beasts will take on each other Saturday at MGM Grand in Las Vegas (on HBO pay-per-view). This entry was posted in Inside Boxing blog and tagged Aron Martinez, Danny Garcia, Gennady Golovkin, Jessie Vargas, Kell Brook, Robert "The Ghost" Guerrero, Terence Crawford, Viktor Postol by Robert Morales. Bookmark the permalink.